Discover the five amazing things you already have to become a great Christian songwriter. Tap into what makes your songs great and how they can stand the test of time. Get practical tools the pros use to boost your creativity and songwriting output. How to avoid the most common songwriting shortcuts and the five songwriting timesavers you can use now to be a better songwriter. Immediately organize your songwriting, understand the current songwriting marketplace, and much more. Ready to Take Your Songwriting to a Whole New Level? Get Started Today Using These Valuable Tips to Your Best Writing Ever! Are you a frustrated Christian songwriter? Wonder how anyone will ever hear your songs? Want to learn to write like professional songwriters? You’ll learn exciting tips for keeping up with your ideas, hooks, and song snippets, as well as how to move from songwriting as a hobby to songwriting as a lifestyle! Write Your Best Songs Now! Are you ready to take some seriously HUGE steps to great songwriting? You’ve come to the right place! We’re here to empower you, encourage you, and to equip you. We know that you’ve got some great songs you’ll write that the world needs to hear. We know that you have a serious call on your life and we want to help make that happen! Hi, I’m John Chisum, Managing Partner of Nashville Christian Songwriters. I and my team have worked with some of the best songwriters in the world and now we want to share with you all the things we’ve learned from them and from our years of writing. leading, and publishing. NCS exists to empower Christian songwriters worldwide and we’re here to empower you! Our 60+ page ebook is a great place to start and we know you’ll be energized and motivated towards your writing like never before! You’ll be able to use these strategies, tips, and hacks immediately to take your songs from average to amazing! It’s filled with tons of valuable information about how to craft stellar lyrics and melodies and how to stay inspired as a songwriter. 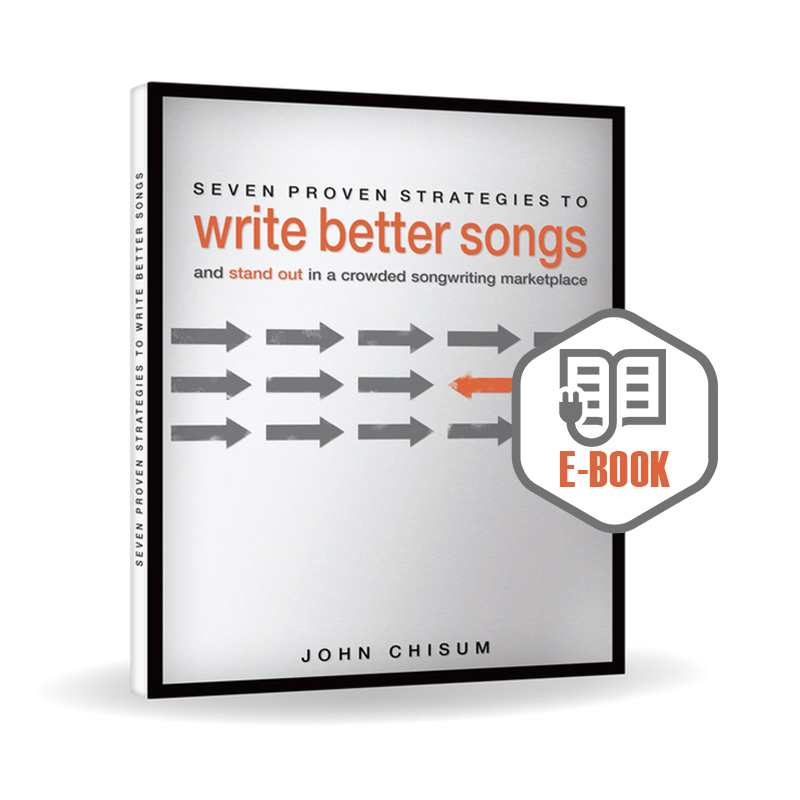 If you struggle with how to finish a song or how best to stand out in a crowded songwriting marketplace, this is the book for you! Get it now!